I have this sick feeling. Women’s intuition: Making women right since 8000 B.C. 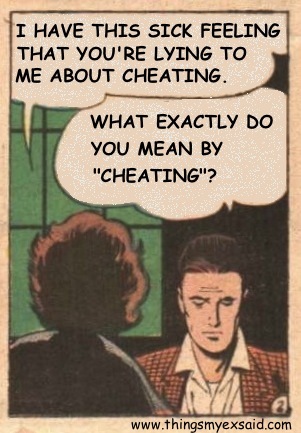 Cheating: If you have to ask, it qualifies. Theres an article on gurl.com about “emotional cheating”. cheating is cheating. Couldn’t agree more!